Fish with us in the flat calm seas of Kona, a top destination in the world for catching Blue Marlin! We also fish for Striped Marlin, Spearfish, Yellowfin Tuna (Ahi), Wahoo (Ono), and Mahi-mahi. Fish are abundant close to shore, so we start fishing right outside the harbor. Book your private charter on our spacious 54’ boat for up to six people. Full, ¾, and ½-day charters are available. We provide tackle, coaching, food and beverage. No license is required. Interested in tournament fishing? Check the tournament calendar for openings. Call or Text now to book! 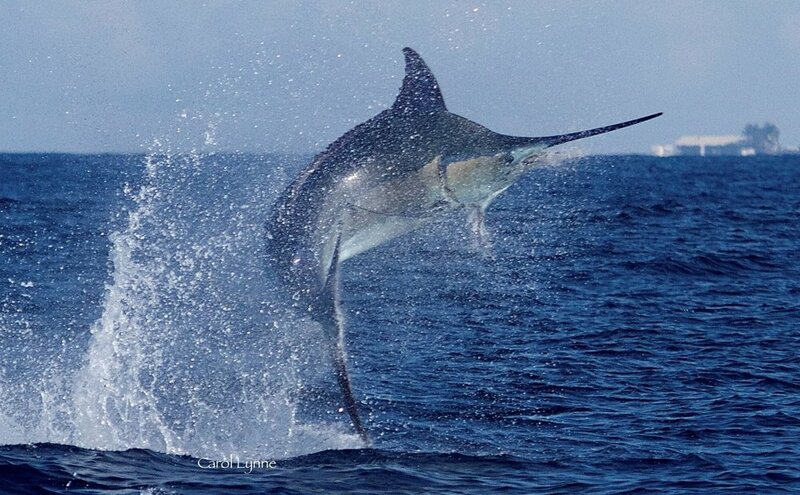 Marlin Magic II - Owned and Operated by Island Spirit Charters, Inc.